Are you a rich fellow or lady in search of a new car that'll make your neighbors' Lamborghinis and McLarens look tame by comparison? Are the likes of Singer-customized Porsche 911s and Gunther Werks 400Rs either too common or too conservative for your tastes? 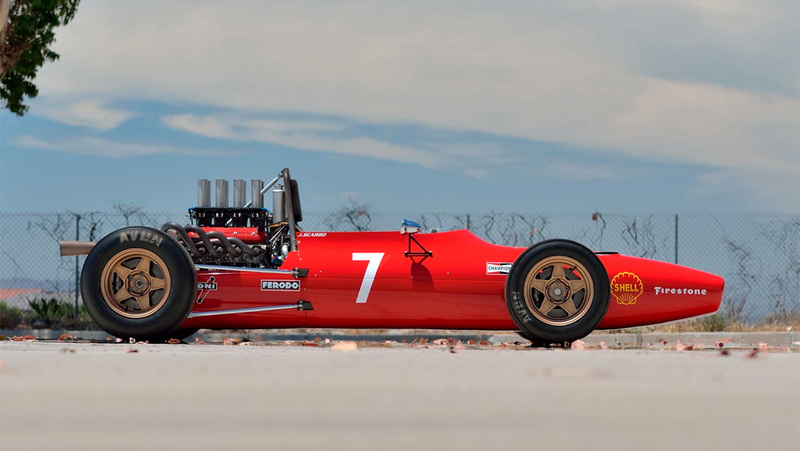 Well, in that case, the folks at Mecum Auctions may have exactly the sort of four-wheeled wild child you're looking for: a modern-day, open-wheel race car packing 1960s-era Ferrari F1 styling, a Corvette engine, and a curb weight of just 1,280 pounds. 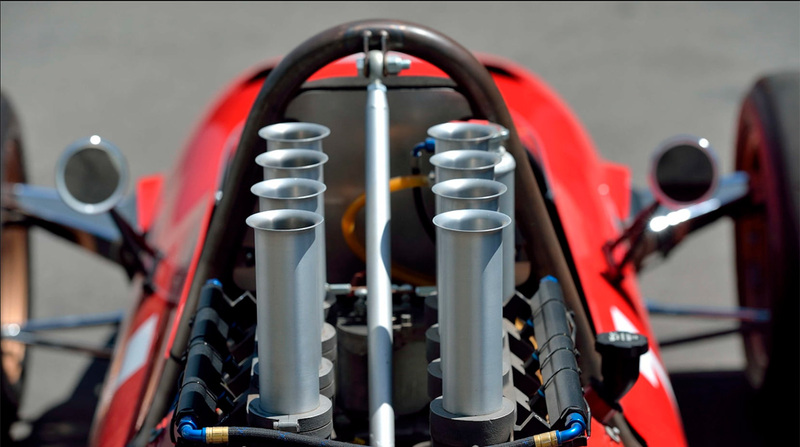 Or, to use its formal title: The Scarbo SVF1. If you're unfamiliar with the Scarbo name, don't feel bad; the company has been around for a decade, but has kept a fairly low profile, all things considered. 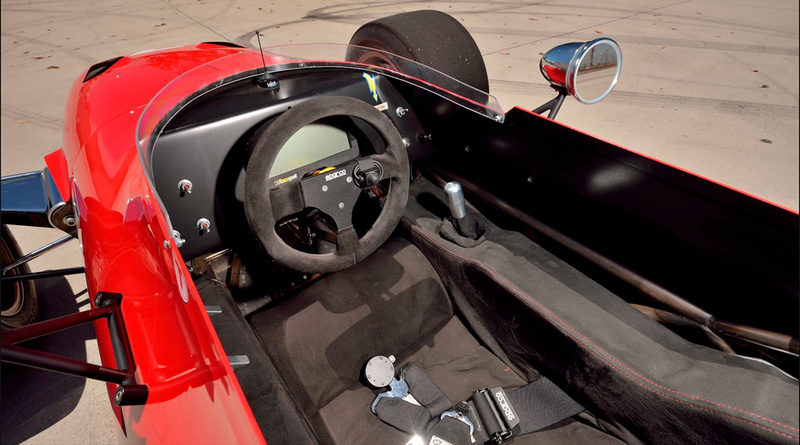 The car seen here in the Mecum listings is actually the very first SVF1 ever made, and one of only two in existence. 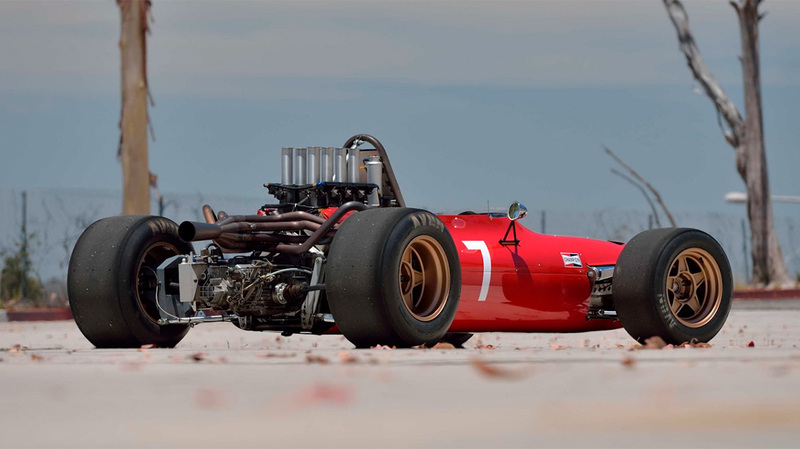 The styling pays tribute to the glorious Ferrari 312 that competed in the 1967 Formula 1 season, with the aluminum sheetmetal crafted by hand before being slathered in dreamy, Maranello-spec Rosso Corsa red paint. 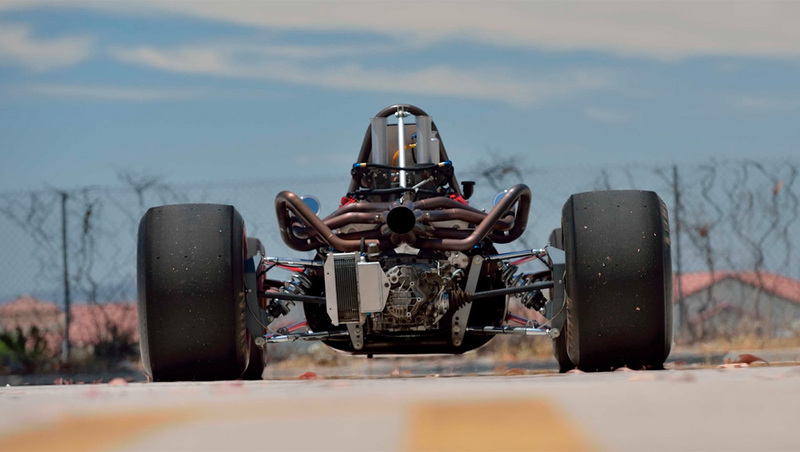 Beneath that corrosion-proof skin, however, lies a modern-day chassis banged out of MIG-welded chrome-moly tube steel, ready to stand up to the rigors of racing—or, should things go pear-shaped, to protect the driver in the event of a crash. 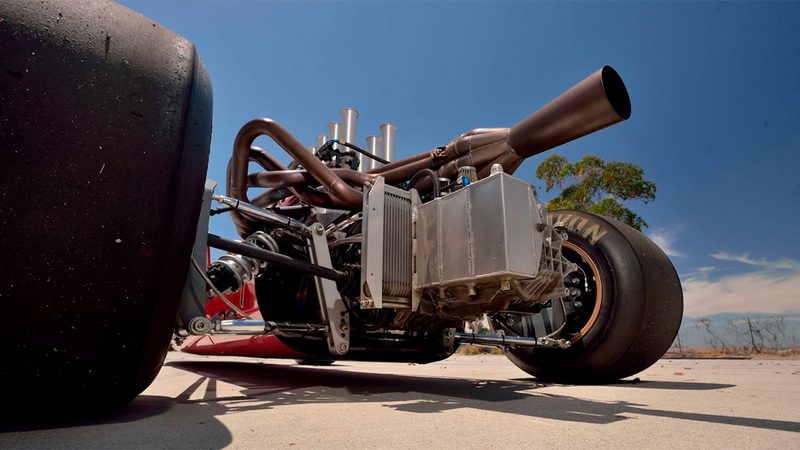 Power flows to the back wheels through a five-speed manual transmission and an open differential; remarkably, in spite of the car's Apollo program-era appearance, all those ponies and torques are constrained through a three-mode traction control system. 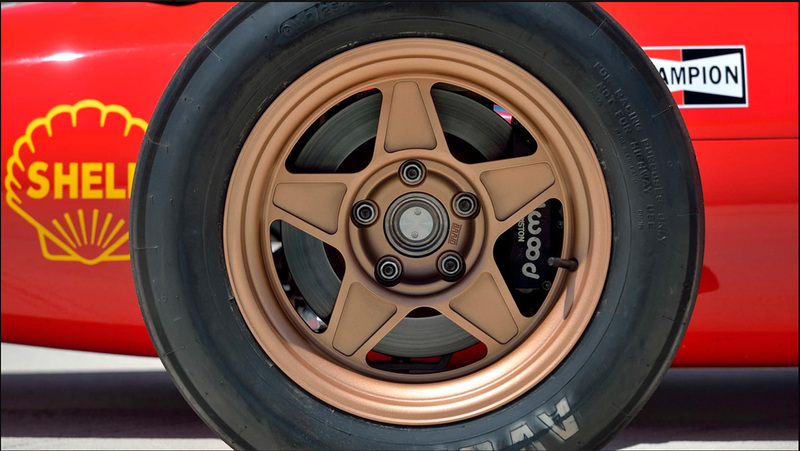 A wishbone suspension with two-way adjustable dampers connects the slim, light body to the retro-sleek, gold-anodized, forged aluminum wheels sitting inside Avon racing rubber. 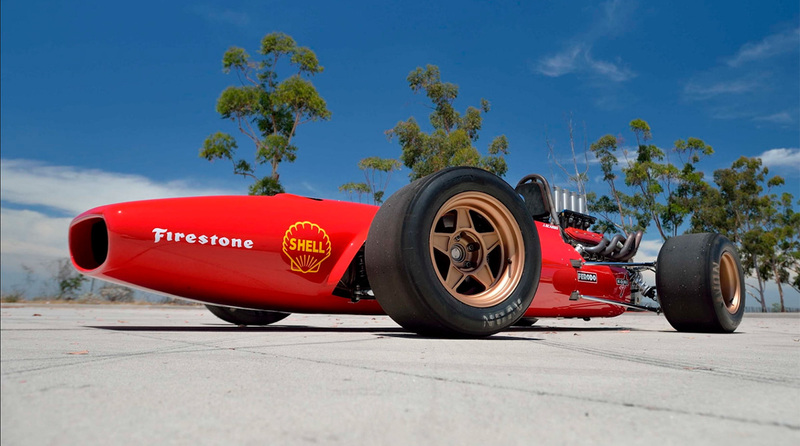 SVF1 serial number 001-P, as this red beauty is designated, is hardly a garage queen. 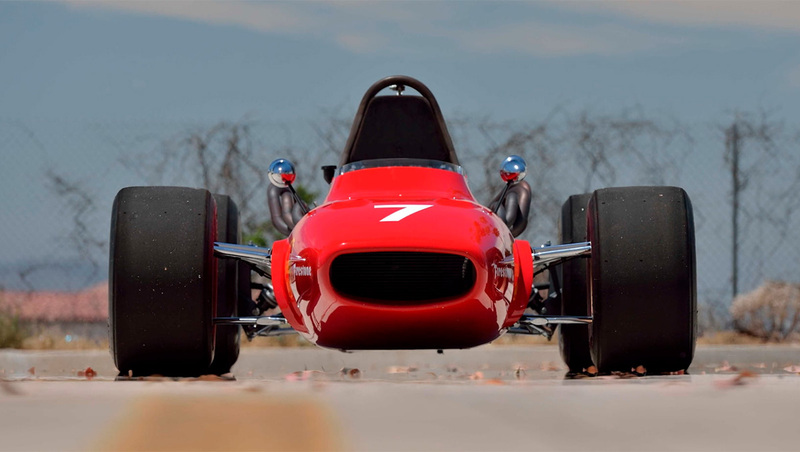 In the past few years, the car has hit the track at racetracks from Circuit of the Americas to The Thermal Club (see: the video below) for vintage racing events and other venues where an open-wheeled 1960s-style track car would fit in nicely. The Mecum listing doesn't reveal how much the SVF1 is expected to go for, but Scarbo's website lists the turnkey version of the base car (which this one appears to be) as starting at $112,800. That said, considering this car's provenance and the fact that you can skip whatever line for the new car exists, we wouldn't be shocked to see it sell for twice that. We'll find out in late August, when the car rolls across the auction block at the Mecum show in Monterey. That is a lot of cash flying around the famous Spa on Del Monte Golf Course. An F40 V-8 engine recently popped up for sale on Bring A Trailer. Will you buy it?